This is an addendum, of sorts, to Twenty Seven. While this will (hopefully) make plenty of sense without reading that first, I’d still recommend it. You — where I, of course, really mean I — could probably cross a few things off that list without worrying about what happens next. It’s (mostly) just money, after all, and you only live once. Unfortunately, like most people I wasn’t born into wealth, and like most people will have to earn every cent I want to spend. Which probably means picking and choosing what I want to do, the places I want to go, and perhaps most importantly, the experiences I want to have. Provided I stay gainfully employed there’s probably nothing stopping me from doing an overseas trip every few years, or having an interstate jaunt a couple of times per year. A little while back I read about spending money on experiences, not things, and it’s the same wisdom I’ve attempted to impart on others. Being a technology enthusiast is particularly terrible in this regard, because there’s always a cool new toy to buy, but lately I’ve been doing OK about justifying the things I purchase, carefully weighing up their value versus the use I’ll get out of them and a myriad of other factors, including how much I want other, perhaps more expensive, things. So yeah, life’s too short to worry about money. By the time you think you have enough of it to live comfortably, you’re wondering where the years went. Before you know it, you’re too old and frail to really enjoy the places that you probably should have been when you were still young. So you get to choose between travelling as a broke youth, travelling comfortably during your twilight years, or whatever happy medium you decide to settle for. 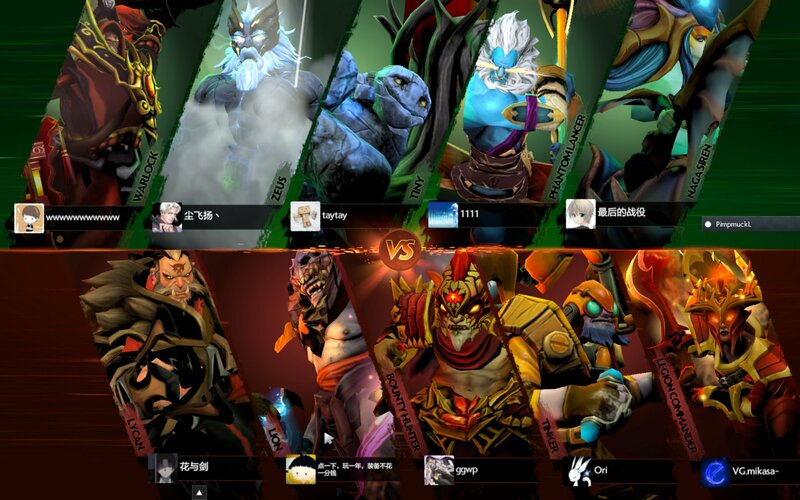 Which brings us to… Dota 2. There’s a scene in The Unit — one of my favourite TV series of all time — where one of the lead characters asks another soldier who’s about to make a life changing decision: does it make you a better soldier? In that scene, Jonas asks Mack whether what’s he’s about to do will make him a better soldier, and it’s a good question: if killing your superior officer (who slept with your wife) doesn’t make you a better soldier, you have to ask the question: what does? It’s the kind of question I ask myself all the time; what can I do that will make me a better person? A while back I was asked if shooting film made me a better photographer. At the time, I didn’t really have an answer for the guy who asked, because I hadn’t really thought about it myself. But thinking about it now, the answer seems pretty clear: sure it does, if only on a purely technical level. When you shoot film with a manual-exposure camera, when you’re guessing exposures, you learn about apertures and shutter speeds in addition to thinking about all the other aspects of your shots. A lot of shooting film is also the experience of not being able to look at your photos immediately and having to wait for it to get developed. That teaches patience, which, last time I checked, was a pretty good attribute to have. With film, you’re limiting yourself to only shooting a certain number of frames. It means you can just spray people at 5fps — 12 if you’re lucky enough to have a 1DX — and it means that you value your shots more because you’ve got less to work with. And you know what? At the end of the day, maybe taking photos with film cameras doesn’t have to be about if it makes you a better photographer. Maybe it will, and maybe it won’t — but if you’re having fun doing it, then I guess that’s okay too.